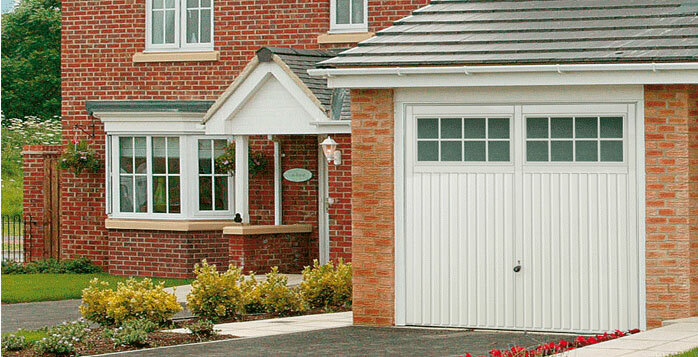 These doors are available in a few different materials depending on your preference and budget. 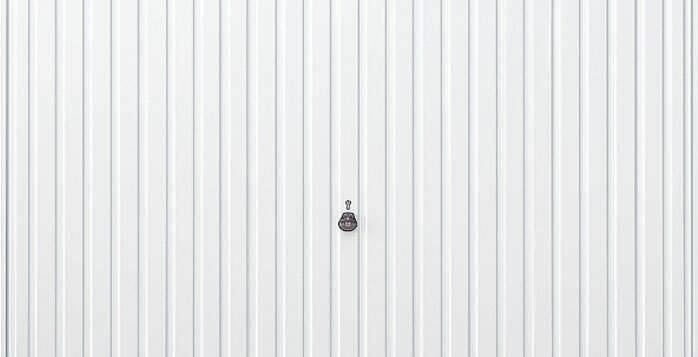 Steel doors are the most cost effective and popular, they offer great value for money with doors starting from £425 + VAT supplied and installed! 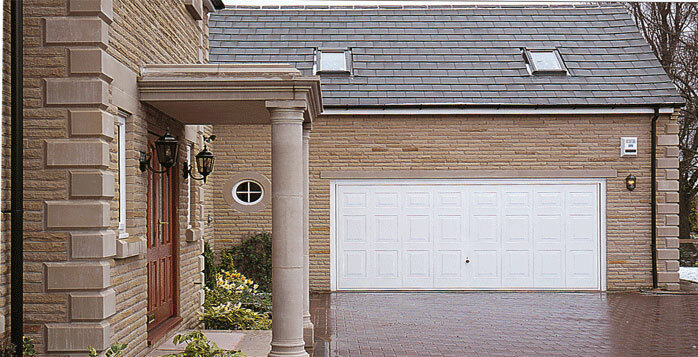 Attractive ribbed designs or the traditional Georgian panelled doors are available in a range of distinctive colours. 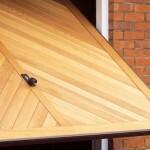 Timber doors are extremely attractive; nothing can beat the natural beauty of cedar wood. 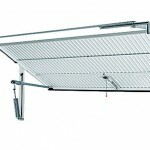 There is a huge choice of styles and they are sure to compliment your home. 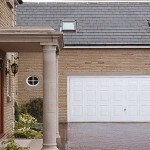 GRP doors or ‘Glass re-enforced Polyester’ offer the only true maintenance free option in the garage door industry. 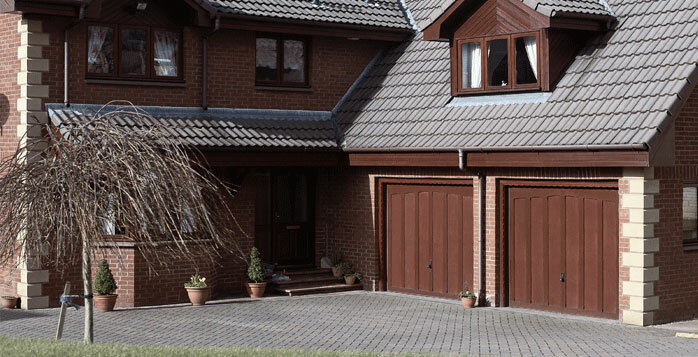 The door panels can be gloss white or woodgrain to offer a true likeness to Timber doors. 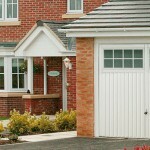 All up and over doors are available in single and double sizes, even purpose made if required. All the doors can be specified with an optional steel fixing frame to aid installation and longevity of the installation. 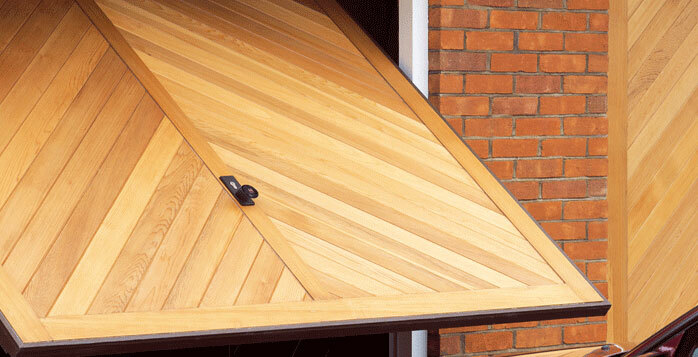 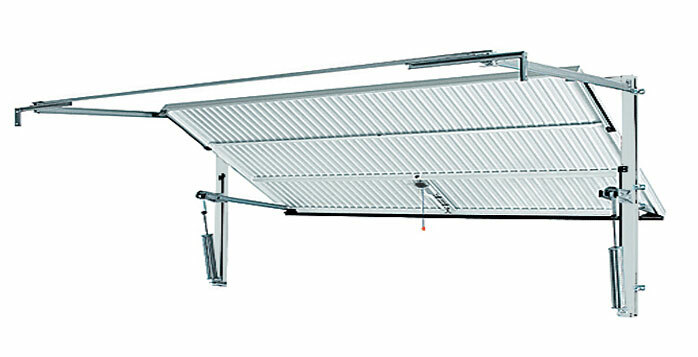 Doors with fully retractable gear can be easily automated to make life just that little bit easier!